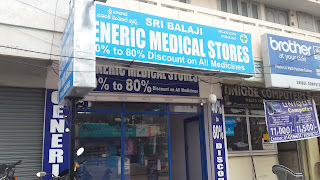 In the above foto (July 2016), one can see, Sri Balaji Generic Medical Stores, which has only generic medicines (branded and unbranded), these are medicine brands that are not promoted to doctors, in India. 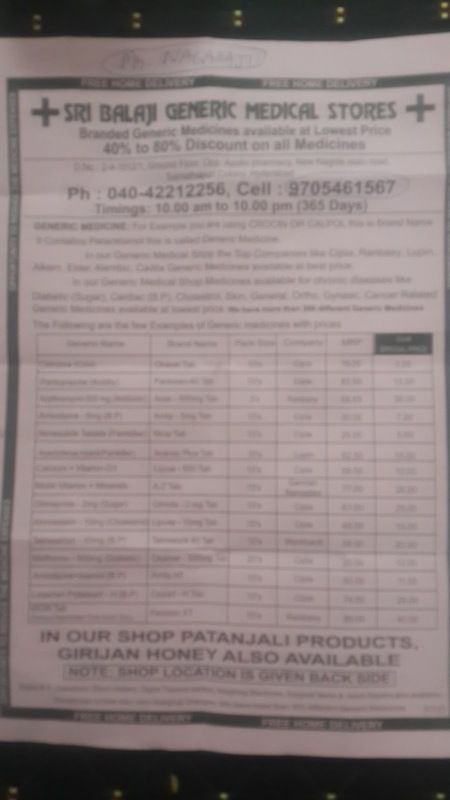 Customers walk in and show the Rx and ask for cheapest equivalent medicine from a “standard” company (eg., Cipla) or the pharmacist will 'push' equivalents from companies popular in the generic market like Leeford (this Ludhiana based company specializes only in generic products – and has some 500 SKUs). Almost all noted Indian companies have generics (branded and unbranded) medicines, which are not promoted to doctors. These companies have separate branded medicines available at a higher price and these are promoted to doctors. Such companies include Cipla, Lupin, Alkem, German Remedies (Zydus), Cadila, Ranbaxy etc. 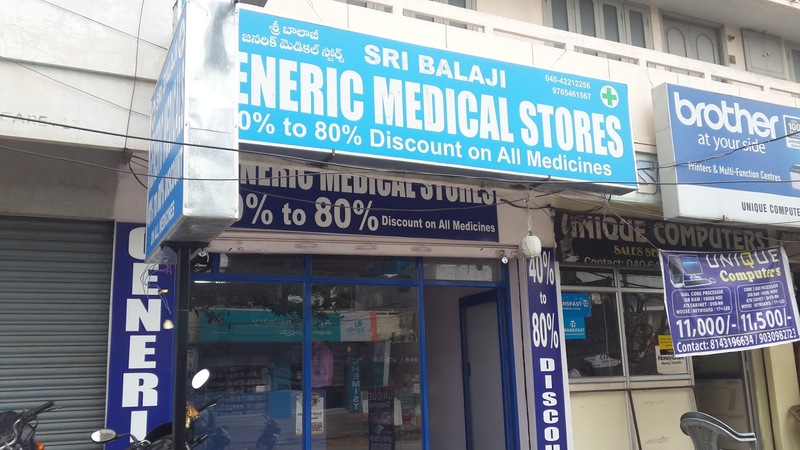 As per the pharmacist at the above generic store: such private exclusive generic medicines shops are about 50 in number in Hyderabad-Secunderabad. He also said, in about 6 months Telangana govt., will open about 50 'Jan Aushadi stores' (Govt. 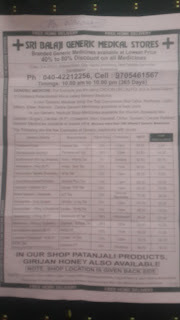 fair price medical stores) - these are central-state govt. stores, which will sell unbranded generics. Probably in two years time, generic shops (containing unbranded generics and branded generics not promoted to doctors) will be common place in India, and will change the nature or landscape of the medicine market significantly. Generic Paracetamol 650 mg (like Dolo 650) was sold at just Rs. 1.00 per tablet (Cipla). f) Products like Pure soap (Meditek) and Glowdent toothpaste (with bioenzymes - also available on amazon.in etc) (Group Pharma) will have good traction since there cannot be any generic equivalents…hence it will be useful for companies to launch products that cannot be duplicated easily. At Indore too, Arogya chain of medical stores offers generic medicines at deep discounts...the generic trend is on! Thanks for reading this blogpost, kindly scroll down to read other posts, click on older posts as and when required to read older posts, and do recommend this blog to your colleagues!